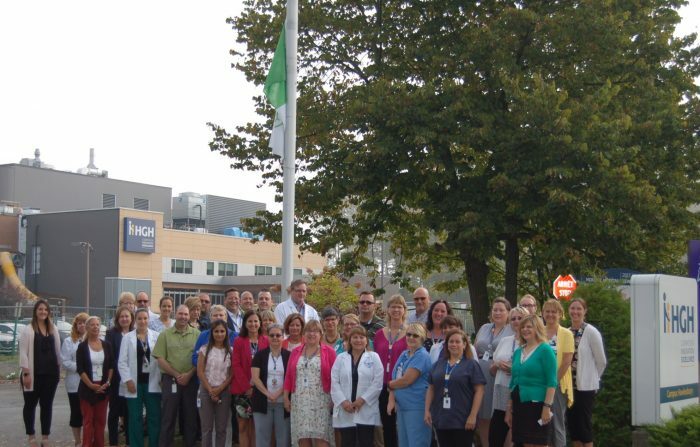 This morning, the Hawkesbury and District General Hospital (HGH) proudly raised the Franco-Ontarian flag in honour of the Franco-Ontarian Day. Several hundred organizations across Ontario also held a flag raising ceremony. Close to 40 employees and physicians attended the ceremony. Gisèle Larocque, Senior Director, Organizational Development and Community Relations at HGH addressed the group gathered outside the hospital. 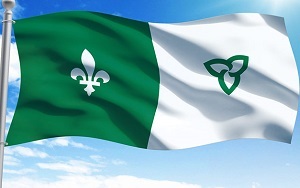 In 2010, the province of Ontario proclaimed September 25th to be Franco-Ontarian Day. This date coincides with the flag anniversary.